Fun and functional, the Ashley Dinsmore Twin-Over-Twin Bunk Bed will create an exciting atmosphere that your children will adore! Its bold, durable design features strong tubular metal and a flawless powdercoat finish. 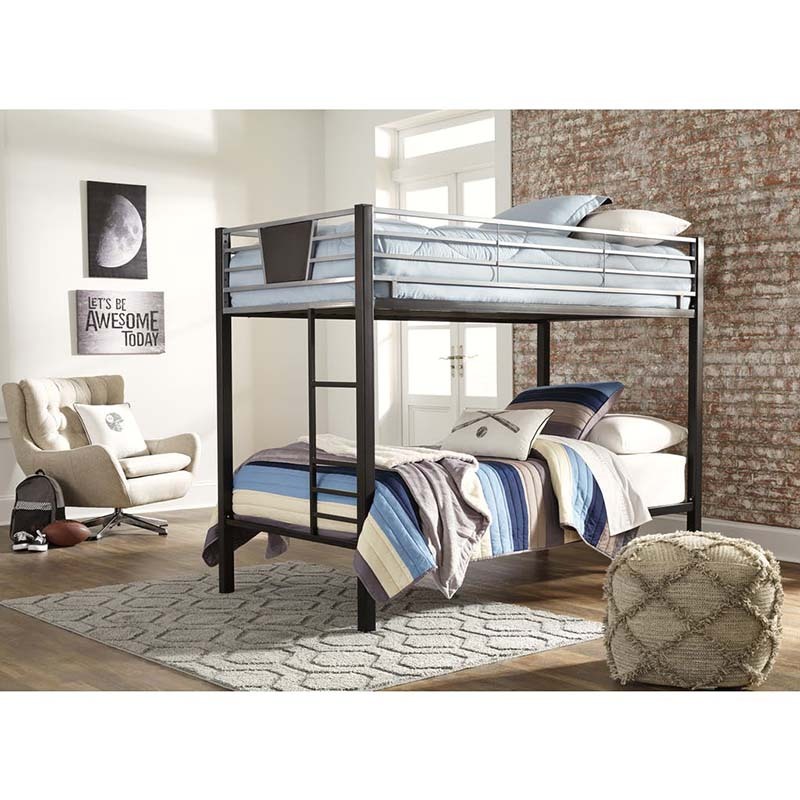 Mom and Dad can rest easy knowing this model is outfitted with a sturdy, top bunk rail.